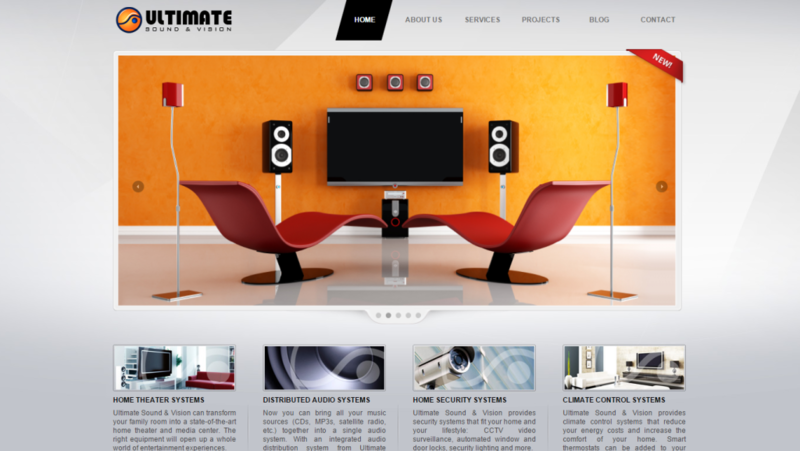 Ultimate Sound & Vision needed a new website that would present the company’s capabilities to wealthy homeowners seeking top-of-the-line music and home entertainment systems. Additionally, the website had to build the company’s brand so its suppliers – prestigious manufacturers like Sony and Yamaha – would reward it with status as a Master Dealer, a privilege that would position the company above its competition. Susan Greene, website copywriter, wrote the content for the website as well as detailed descriptions of the 30+ brands the company represents. 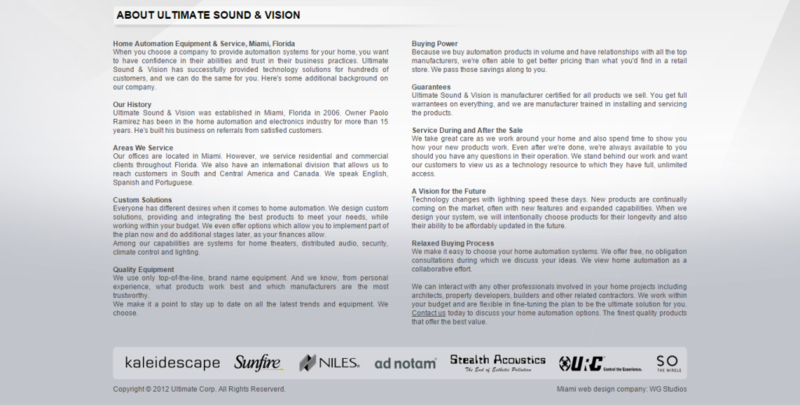 Ultimate Sound & Vision has been extremely successful. It is continually growing, adding sales people and service technicians to handle its increasing volume. The company has also achieved status as a Master Dealer for most of the brands it carries. Does your company need an impressive website to promote its products? Let’s chat about a website for your business.